Posted March 20th, 2015 at 1:06 pm. 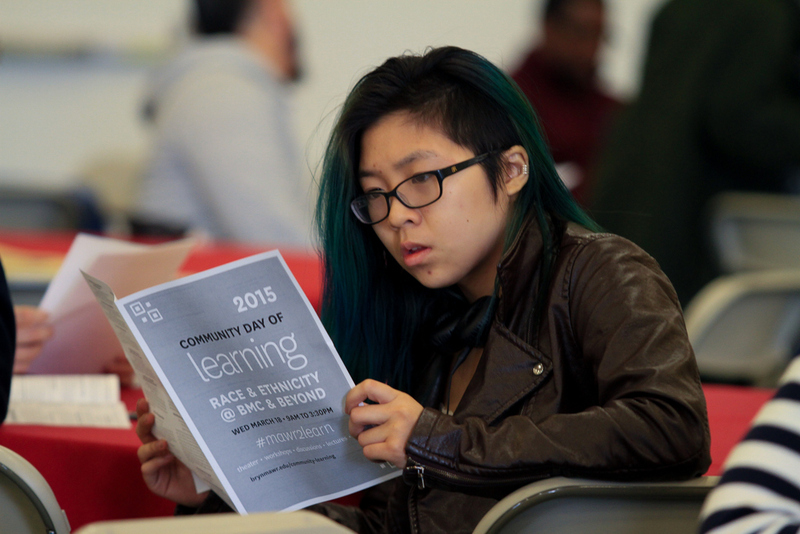 As many as 1,000 students, faculty, and staff members turned out for the first-ever Community Day of Learning on Wednesday, March 18. 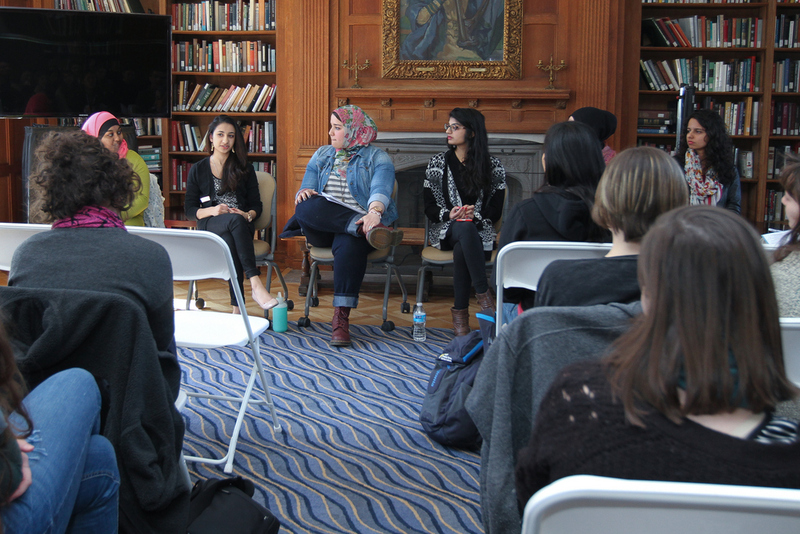 Titled “Race and Ethnicity at Bryn Mawr and Beyond,” the day featured performances, panel discussions, interactive workshops, and lectures designed to illuminate and consider the benefits and challenges of living and learning in a diverse community. The morning sessions began with the majority of those taking part in the day gathering in the Bern Schwartz gymnasium. Upon arrival, each person was given a name tag with a particular color and asked to sit at one of the many round tables with a correspondingly colored table cloth. At the morning all-campus gathering, President Kim Cassidy, Stephanie Nixon of the Pensby Center, and Tiffany Shumate from Admissions addressed the audience, outlining the day ahead, talking about the goals and guidelines for the day, and leading the assemblage in an initial exercise in which they talked to each other about their personal experiences around race and ethnicity. Williams, who is African-American, shared his table with a faculty member from France, an Asian-American student, a student from Turkey, and a Jewish-American staff member. “I talked to them about what their perception is of a black guy with a beard, and we were able to have a real conversation and not feel uncomfortable because we were all trying to learn from each other,” said Williams. After leaving Schwartz gymnasium, half the participants went to Goodhart Hall to see a performance by Theater Delta, a Chapel Hill, NC-based interactive theater group whose work focuses primarily on the complexity of college campus communities. 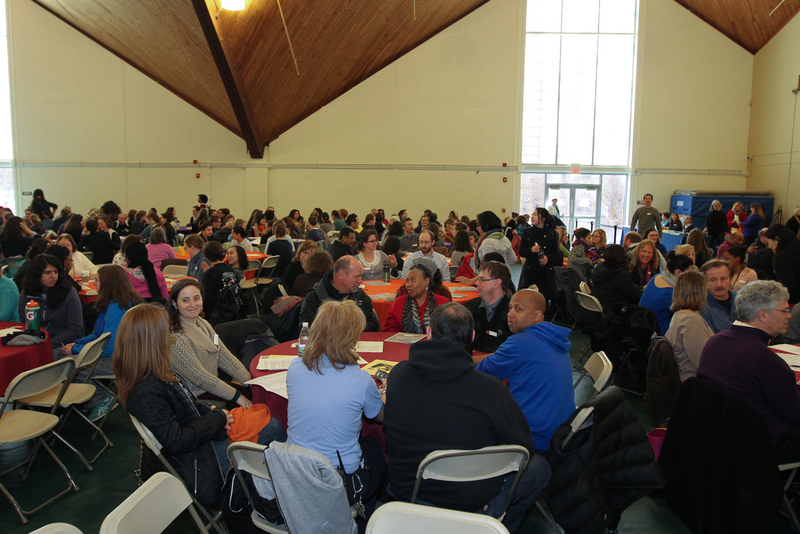 The other half attended one of the more than 40 workshops and lectures being held throughout campus. After lunch, the groups flipped schedules so that all participants had an opportunity to take in both the performance and another event. Stephanie Montalvan ’18, a Posse scholar from Houston, went to a session led by Professor of History Sharon Ullman on the history of the Confederate flag. 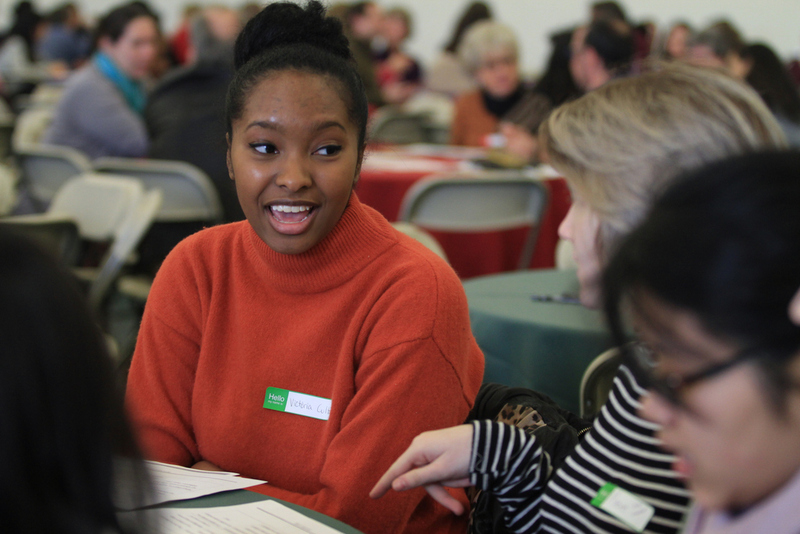 Rachel Weissler ’16, from Los Angeles, is a Mellon Mays Fellow and already considering going on to get a Ph.D. She decided to attend a session that touched on negotiating the predominantly white world of academia as a faculty member of color. Class of 2016 members Rachel Ofili from Eagle Rock, Calif., Coco Wang, from China, and Chanel Williams, from the Bahamas, all praised the day as they left lunch at Erdmann Hall together. “I didn’t grow up thinking about concepts of race or diversity, but like Rachel said, it’s about being an active listener and getting to know people as individuals,” said Wang. Faculty members taking part in the day were also enthusiastic about the results. The day ended with all attendees coming together again in the gymnasium, where they heard closing remarks from University of Pennsylvania Pastor Charles Howard and President Cassidy. “We still have a long way to go, but today was an important first step and we took it together,” added Cassidy.